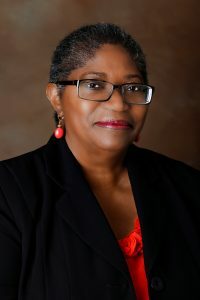 Annetta Jenkins is a seasoned community and economic development professional, with more than 30 years of national, statewide and local experience. She is currently the Director of Neighborhood Services for the Riviera Beach CRA and Executive Director of the Riviera Beach CDC, formerly the Assistant Director for Miami-Dade County Department of Housing and Community Development and the Executive Director for South Florida LISC. She is an appointee to the Palm Beach County Housing Summit Steering Committee. She serves on Palm Beach County’s Housing Leadership Council, is a former long-time board member of Florida Housing Coalition and was an appointee to the State of Florida Affordable Housing Study Commission. She attended Tuskegee Institute; received a B.A., Economics, from Fisk University; and a J.D. from Nova University Center for the Study of Law. She holds numerous certifications and has an Executive Certificate from Columbia University Graduate Business School Institute for Non-profit Management. Annetta also consults in the areas of fundraising, community building, and real estate finance and development.